It’s every traveler’s nightmare. 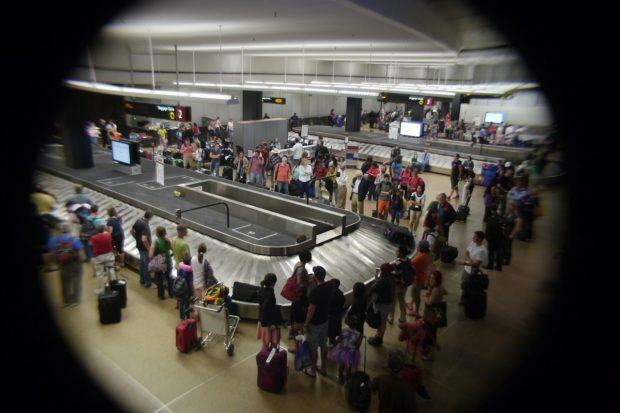 You descend to baggage claim at your destination and begin waiting for your bag. And you wait and you wait. That dreaded feeling begins to rise up inside you as you realize that your bag didn’t make it. 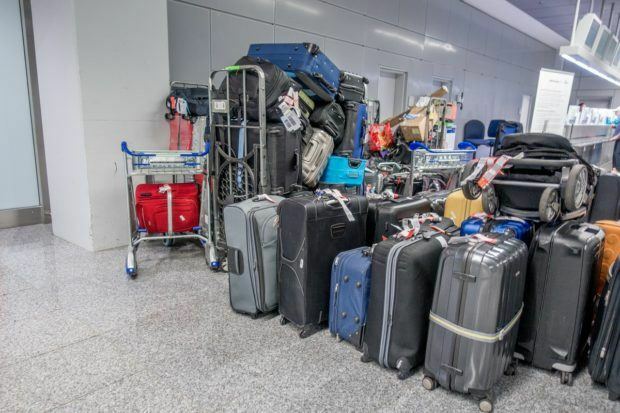 Here’s everything you need to know about airline lost luggage: what to do when the airline loses your luggage, the sickening truth about lost baggage by airlines and even tips on preventing lost luggage hassles. Here is what to do when luggage is lost or delayed on your flight. Nobody from the airline is just going to magically find your bag without you taking steps to make it happen. You need to be your own advocate. Don’t just assume your bag will come on the next flight. You must file your claim immediately to receive compensation and it helps to start the clock on your claim. Be sure to have all of your information handy, including record locator number, flight number, and description of your bag (including color, shape, size, manufacturer, and any distinguishing characteristics). Get in front of a real person (ideally a manager) at the baggage office at the airport. Get their attention. Get them looking for your bag. But remember the phrase, “You catch more flies with honey.” Being a jerk or obnoxious is unlikely to help your case. Be pleasant, but forceful. 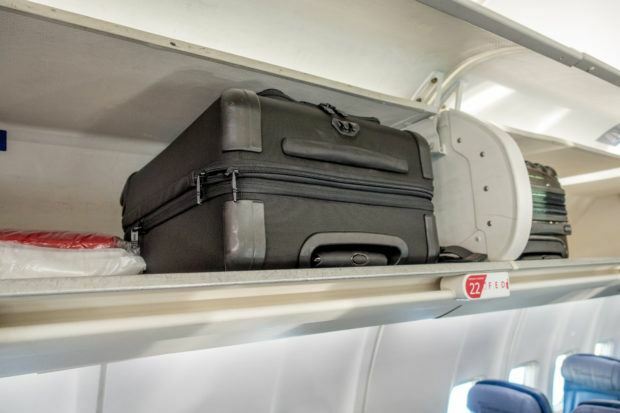 Airlines rarely get bags back to passengers in 48 hours. Most bags that fall into the delayed baggage category make it back to the passenger in 3-7 days. Figure out what you need for a few days and immediately buy those items. Keep receipts for everything you buy. How much do airlines have to pay for lost luggage? The answer depends on if the flight was a domestic flight or an international flight. The airlines are required to reimburse you for delayed, lost or damaged baggage up to $3,300 per person on domestic flights. 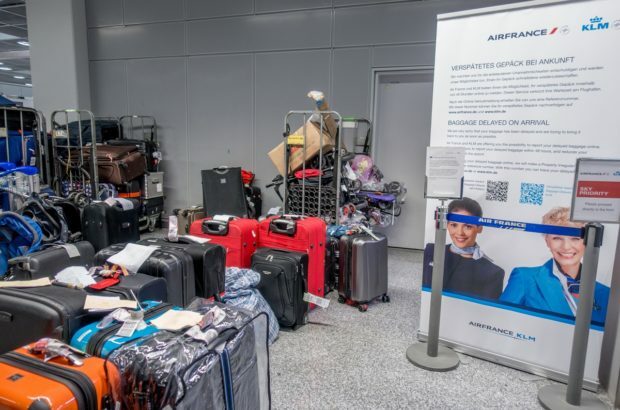 International flights are covered by the Warsaw Convention, but the current lost luggage reimbursement is around $1,750 per person. Actually getting paid for your lost or delayed luggage reimbursement is another matter with some airlines being very quick and others not. After a few days, you will want to take your story to social media. Don’t be a jerk, but share your story and be sure to tag your airline’s social media accounts. Have friends re-share the story, particularly on Twitter. Eventually someone in the airline will pay attention. That’s what you need – a real person in customer service/central baggage office to take interest. They are the people who can help get someone to look for your bag. When your bag doesn’t make it at a destination, you’ll dutifully file your report with the airline in the baggage claim area. If this is a simple issue of delayed baggage, it should show up in the next three days. FAA data shows that delayed baggage usually arrives within 3-7 days. However, if the bag is truly lost, your chances of finding lost luggage after 30 days are cut in half. Automated baggage tracking is hardly a science. Despite having bar codes, the baggage search process is largely a manual one. It requires an airline representative to manually search the WorldTracer computer system for misdirected bags. WorldTracer is a computer system used by practically every airline (over 440 worldwide) at over 2,800 airports. To get help with your lost bag, you need to find some way to get the airline to initiate this manual process. Complaining loudly and frequently is your only choice. 5 days: The time period when the airline transitions your case file from the local airport to the central baggage office. This is the start of getting someone to actually help you. 45 days: Deadline to file the Passenger Property Questionnaire (PPQ) with the airline. This form is where you itemize your property and assign value to it. 100 days: All bags cycle out of the WorldTracer system. After 100 days, your bags are likely lost forever and can’t be tracked. Luckily, only about 2% of lost luggage is missing forever. Some airlines have better luck than others. And some just have bad luck. I was flying on American Airlines. After returning home, I wondered just how often does luggage get lost? Airlines hype that the rate of lost luggage is on the decline, but they frequently overlook delayed baggage statistics (and a delay can be DAYS). The issue of lost vs. delayed baggage may play out in the statics, but the result is the same for the consumer. In the course of my ordeal, I learned that in 2014, American Airlines lost more bags than any other major carrier in the United States. Among top carriers, only discount Southwest lost more bags. [At Southwest, bags may fly free, but they don’t get there.] In fact, American and U.S. Air (now combined as American Airlines) lost more bags than all other major carriers COMBINED in 2014. The trend has continued and, as of March 2016, American Airlines has even surpassed Southwest Airlines. 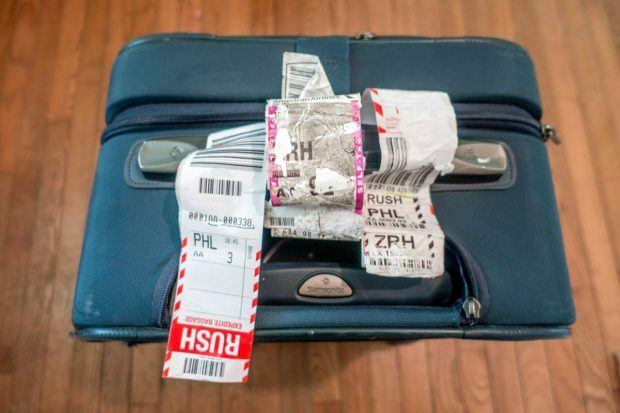 Despite having a barcode, luggage tracking is still a largely manual process (Photo by Karl Baron by CC 2.0). Most airlines, staff out their baggage operations to subcontractors. As I learned from my lost luggage experience, the relationship between airline staff and these subcontractors can be adversarial. As they argue and bicker over turf and relationships, you suffer. During my experience, nearly every American Airlines employee I encountered was a caring professional. They were apologetic. They cared about me and treated with respect. It didn’t result in getting my bag back any faster. It didn’t stop the fact that nearly every American employee gave me incorrect information about my bag. But it did ease tensions and took a lot of steam out of the situation. Unclaimed baggage left at the airport is ultimately auctioned or sold at a lost luggage store like the mega-center in Scottsboro, Alabama. Only there’s one catch, sometimes it isn’t abandoned or unclaimed luggage that ends up there – it may be your lost luggage. 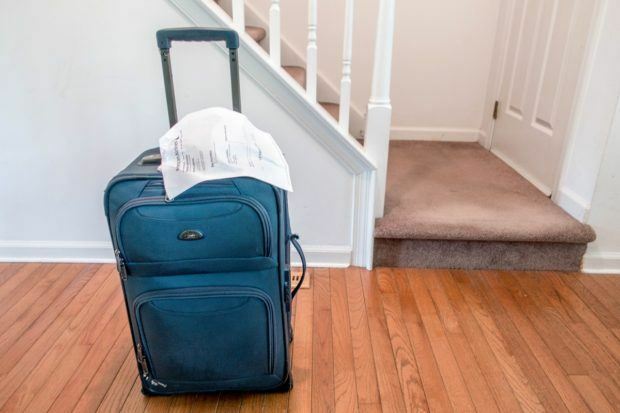 Airlines are murky on the data, but after discussing with airline employees, we’ve become convinced that many lost bags are treated as unclaimed bags and sold off. Seriously, who just abandons their luggage, especially after paying the airlines extra money to be able to check the bag in the first place? In a way, this amounts to luggage theft by the airlines who sell your bags to these lost luggage operations for profit. Thankfully, the numbers are low, but it does happen. 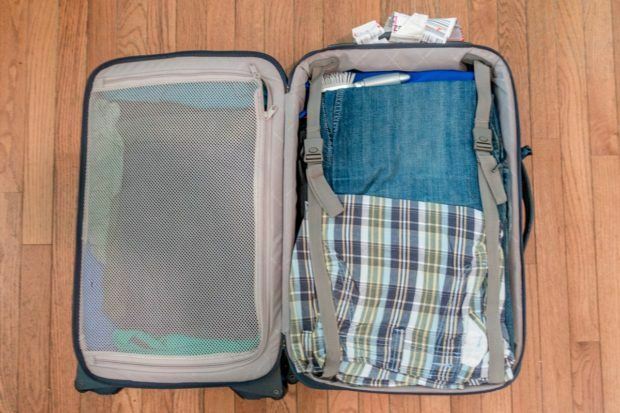 The only way to prevent lost luggage is to pack carry-on only. If you truly care about your stuff arriving with you, pack carry on only. It’s the only way to guarantee that your luggage will make the flight. The minute you check that bag, you’re opening yourself up to lost or delayed baggage problems. Be sure to check our articles for Packing Tips and also Carry-On Essentials to make your trip go more smoothly. 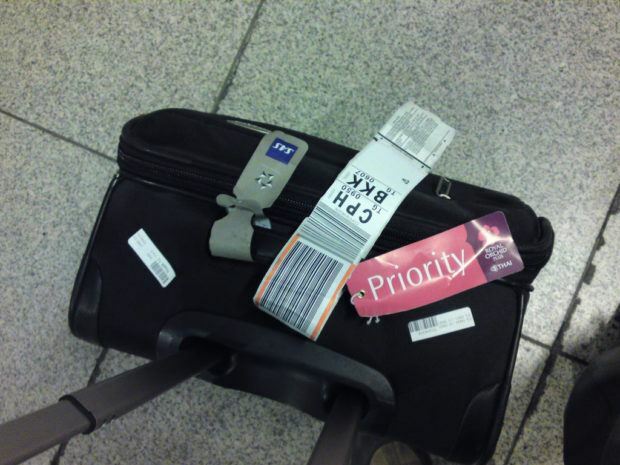 Make sure you have a luggage tag on the outside of your bag. Also, make sure there is a business card or other address identification inside your bag. Remove all luggage tags and luggage barcodes from previous flights to avoid confusing ground staff or electronic bar code readers. This is especially important if the tags are for a different airline than the one you are currently flying! Flight connections are the death of bags. Over the years, the airlines have tightened connection times. Think about all the times you’ve had to run to make a flight. Now think about how your bag will get there. Chances are good that it won’t. If you really want your bags to get there, be sure to take non-stop flights (although, as my American Airlines baggage story below indicates, direct flights are not a guarantee that your baggage will arrive). If you must check your bag and you must have a connection, consider taking a flight with a longer layover. Each airport has a published minimum connection time (called a “legal connection” time). That’s if everything goes according to plan. Now take into account weather, late crews, the ever-vague “mechanical problems,” and air traffic delays and you’re basically screwed. Don’t rely on the airline to plan your connection for you. When you pack your bag, take a picture of the inside contents. You may need this to prove to the airline what you had with you. It’s not unusual for the airline to lose the bag, and then add the insult in disputing your lost luggage claim. Also, keep your bag claim check separate from your boarding card in a safe place. Some airlines insist on putting your claim check on the back of your boarding pass. Politely decline and take it with you. The reason is that if you need to be re-ticketed (upgraded to first class) or you miss a flight, you might not get the claim check back (it’s happened to us more than once). I recently flew on American Airlines from Philadelphia to Zurich. American is part of the Oneworld Airline Alliance, which sadly has poor coverage in Europe. I was ultimately flying onward to Albania, where I was going to meet up with Laura, but needed to fly on a different airline. On arriving in Zurich, my bag never made it. Several other passengers also didn’t receive their bags. This was a non-stop flight and there were no tight connections (or any connections at all). I had checked in to the flight early, so it wasn’t a rush. There’s no excuse for my bag not to have made the flight. According to American Airlines, my bag sat in Philadelphia for five days before being sent onward to Athens…not Zurich. Had AA put the bag on the next flight the next day, it would have caught up to me, but that didn’t happen. Throughout the entire process, American Airlines customer service staff were extremely apologetic and polite, but I got the feeling they really weren’t doing a whole lot or trying to help. The compassion settled tensions, but did little to resolve the fundamental problem. Things improved slightly once I was put in touch with the American Airlines Baggage Call Center (1-800-535-5225 or Central.baggage@aa.com). In the early days, the airline sent inconsistent and confusing updates. On the same day, different people in the American Airlines Central Baggage Resolution Office told me different things. One agent told me to submit the paperwork for an American Airlines delayed baggage compensation claim, and another told me to wait. One agent told me they would e-mail me the American Airlines Passenger Property Questionnaire and a different agent told me to download the file online at aa.com/ppq (you can download the questionnaire here). To further add to the confusion, on one single day, different AA Customer Service agents told me that my bag was in Philadelphia, Zurich, and Tirana. Obviously, my bag couldn’t be in three countries on two different continents at the same time. I’ve been able to piece together the story of my bag. It sat for five days in Philadelphia before being flown to Athens, Greece, but I wasn’t in Greece. So the bag went back to Philadelphia, where it sat for a couple of weeks, before being flown to Zurich, who forwarded the bag to Tirana (but I was already home). Tirana forwarded it back to Zurich, who forwarded it back to Tirana, where it sat for a few weeks. Eventually, it flew back to Philadelphia…via Sydney, Australia. Ironically, the American baggage tracking app (AA Track My Bag) showed my bag never left Philadelphia for the entire time. Yes, I got my bag back. It took 39 days (that’s more than 10% of the year that my bag was missing). Yes, I eventually got paid for the items that I bought while my bag was missing. But I wasted an immense amount of time. I spent over 3 hours on hold from Europe with AA baggage racking up some pretty serious phone charges (which were not reimbursed). I spent hours following up again and again with American Airlines. That’s time I don’t get back in my life and there’s no compensation for wasted time. To be honest, I probably fared better than most. I’m an American Airlines Platinum elite flyer. However, I’m not feeling the love from AA these days. I don’t really feel like my loyalty has been reciprocated. So yes, I probably fared much better than some victims of airline lost luggage. Unfortunately, there’s still very little recourse for passengers. And while the airlines claim they are improving, it doesn’t look like it to most frequent fliers. Do you have an airline lost luggage horror story? Share your story below! 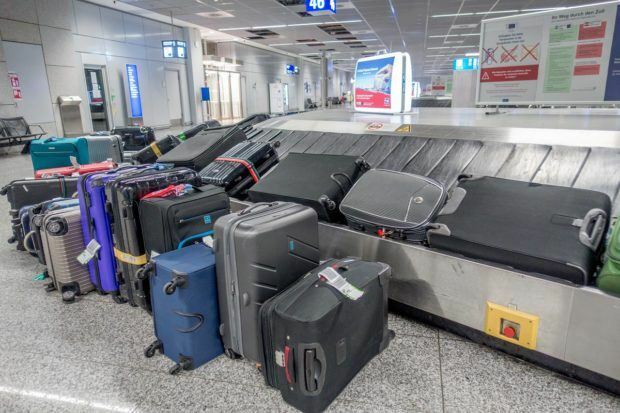 What do you think about The Truth About Airline Lost Luggage, And What To Do? There are things money cannot buy. One is lost time, the other is sanity, and when those get compensated, the airlines will not make so many mistakes. That is an EXCELLENT point, Nancy. We lost a lot of both in this fiasco, so our goal in writing this was to spare others a bit of the same fate. Try calling at a different time of day. Also, Tweeting at the airlines can be really helpful. It’s not exactly real-time (you tweet, you get a response 4-6 hours later), but it is light years faster than the call center. That said, in the world of airline lost luggage, a 36-hour delay barely even registers. If you’re still less than 2 weeks delayed, chances are still pretty good you’ll get the bags “soon” (which in the world of unionized airline employee-speak means generally within 30 days). I know that is deeply unsatisfying, but it is the reality of the situation. Inevitably with how much we fly, we have a 1-4 day lost bag situation a few times a year. The airlines claim they are getting better, but it just doesn’t feel like it. Hey Lance, great post! Our luggage has been missing since December 13th and AA has not been very helpful to be honest. Since it is international, it looks like the max they’ll compensate is $1,750. Our bag’s contents had way more than that. It was 2 surfboards, clothes, towels etc. Would they compensate us for 2 people or just one, since it was one bag, but the contents belonged to 2 people? I’m guessing only one person – since the bag was checked in only one person’s name (regardless of what was in it). The lost baggage allowance of $1750 is standard for airlines by convention (which hasn’t been indexed for inflation or adjusted in…forever). When I had my AA lost bag situation, I was kind of freaking out. I had thousands in photography gear in the bag. Lesson learned for me. I do hope you get your situation resolved. Drop back in and let us know how it turns out. Anybody know how I can report claim adjuster fraud to air line?? Great education for me as I am just beginning to become a frequent world traveler. Thank you so much for posting this info. We luckily have been able to extreme-pack and just use carryon backpacks so far. Handwashing items in our room at night is worth the hassle of not having checked bags. We love our packing cubes, easy to get to items without disrupting the entire backpack. But when I need to check a bag I will be much more cautious to put only “disposable” items in it now. I was of the mindset that checked bags are a safe place for special items, but you have definitely changed my mind.